When it comes to the repair and maintenance of your property’s electrical system, turn to J&S Electric of Greensboro. 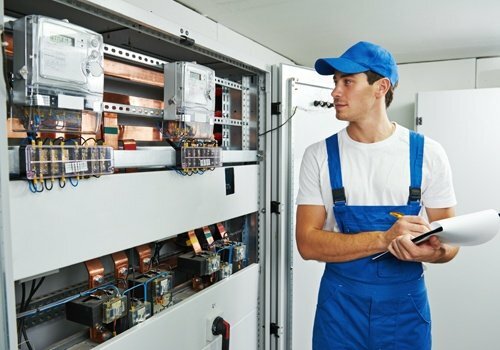 Our electrical company provides comprehensive electrical services to fix any size and type of issue. Whether you’re experiencing dead outlets and tripping breakers or simply need to have your wiring checked, our electricians have you covered. We serve property owners throughout Greensboro, NC. At J&S Electric of Greensboro, we are committed to keeping the occupants of your property safe from any potential electrical problem by providing reliable electrical services. We respond quickly and efficiently, preventing further damage and costly repairs to your electrical system. Our courteous and skilled electricians have several years of experience in dealing with all kinds electrical work. We know that you won’t settle for anything less; that’s why we go above and beyond to exceed your expectations. From the moment you give us a call to the time we finish the job, your satisfaction is our guarantee. Avoid electrical safety hazards with help from J&S Electric of Greensboro. To learn more about our electrical services, feel free to get in touch with us today. You may also contact our licensed electricians for any inquiries.